Celebrating New Years at home with our homemade Ginger Lime Jalapeno Beers! Another year has already gone by and we’re in 2015 now. Sometimes I look at that number and it still looks foreign to me . . . like it’s far far in the future (like in the movie Back to the Future 2!). I always like taking time during this week of the New Year to reflect back on what my year was really like. It’s helpful to remind myself that even though it feels like it’s flying by, there’s actually A LOT of stuff that has happened: new experiences, new lessons learned, and lots and lots of memories. It’s nice to have this solid block of time to sit down, reflect, appreciate, and be thankful. It’s also a good time to re-evaluate and plan for how I want things to be different (or the same!) for 2015. This roundup of the year serves as a rough guide to most of the blog posts I’ve written this past year. Perhaps you’ll find a post or two (or even a whole series!) you had missed that you find interesting. Because of the sheer length of content summarized in this post, I’ve divided it into two posts. Today’s part will focus on travel. Tomorrow’s will focus on recipes and Boston restaurants from the past year! We rang in the new year halfway through yet another Japan series on the blog, my first one involving the added cities of Osaka and Kyoto. This trip (taken at the end of 2013) was the first Japan trip we took with friends (versus by ourselves). Thankfully, our friends were just as excited as we were about food and willing to explore crazy amounts of restaurants with us. Our itinerary focused around food and involved some of Japan’s best restaurants – from a high-end traditional kaiseki in Kyoto (kimonos, bowing, the whole nine yards! ), phenomenal grilled meat in Osaka, and French influenced Japanese food in Tokyo to awesome ramen in Tokyo Station, fantastic udon in Kyoto, and a delightful tofu restaurant with our own private room overlooking the river. The trip was unforgettable. The fact that 2014 was the first year in five that I did not visit Japan makes me miss it that much more. Here’s hoping for a trip in 2015! In January we took our annual trip to Las Vegas to attend the Consumer Electronics Show. This year was different in that I had an opportunity to partner with Whirlpool at CES. It was fun to check out their booth, live-tweet, and even film a short little video. Out of all the technology I saw at CES, this lens-style camera intrigued me the most. 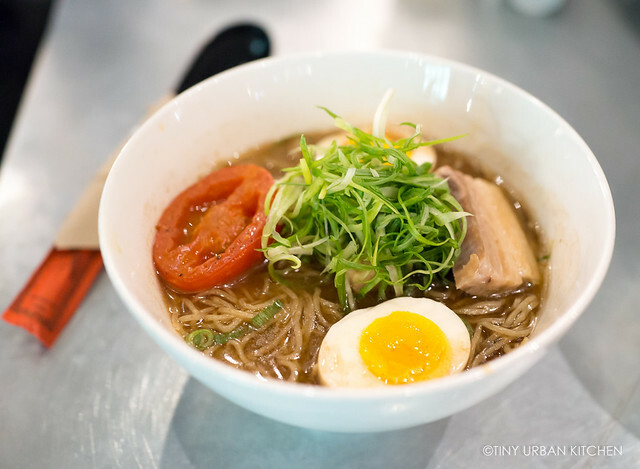 The lens was very similar to the high-quality Carl Zeiss lens on my Sony camera (the one I use for all my food blogging! ), yet it was tiny. It could easily connect to a smart phone, or could even be used detached to take photos from typically hard-to-reach angles. 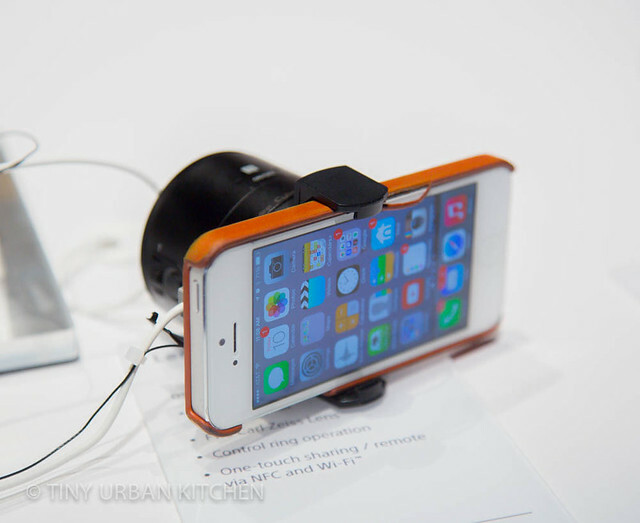 You still control the camera with your smartphone via NFC or Wi-Fi. If I didn’t have my Sony RX1 already, I would really be tempted to buy this for food blogging! It’s so small! In early March Bryan and I took our first ever trip to South America. Bryan had a conference in Buenos Aires in Argentina, so I decided to come along. 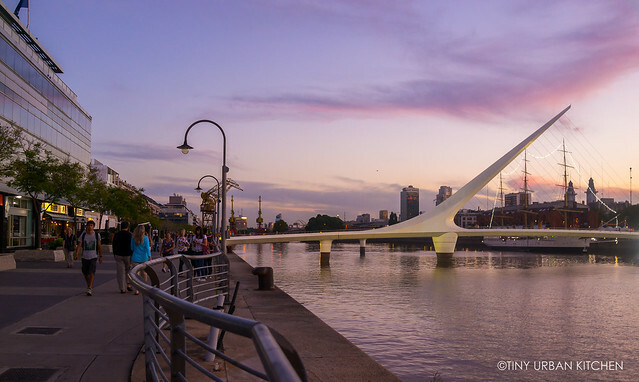 Though I was initially just a tad apprehensive about being in Buenos Aires by myself during the daytime, I quickly got comfortable in this beautiful, vibrant city. It turned out to be one of the most interesting trip I took, mostly because I was so unfamiliar with Argentina’s history, culture, economy, and people. I got to talk to so many locals, learning about their day-to-day lives, their thoughts about the current economy, and their culture. The overall experience was enriching and one that I will never forget. 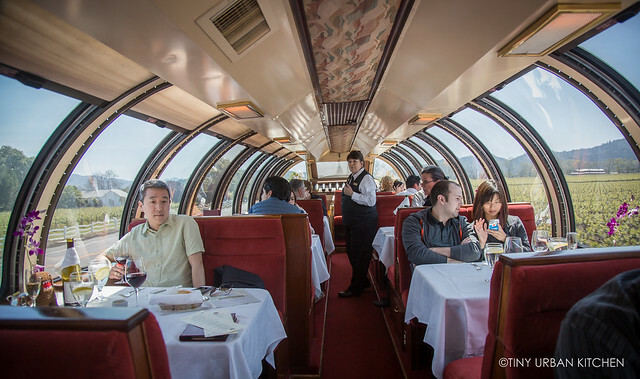 In terms of food, we explored all sorts of dining. We tasted Argentina’s famous steak from two of the most famous steak houses in the city; had great Malbec (at a great price!) 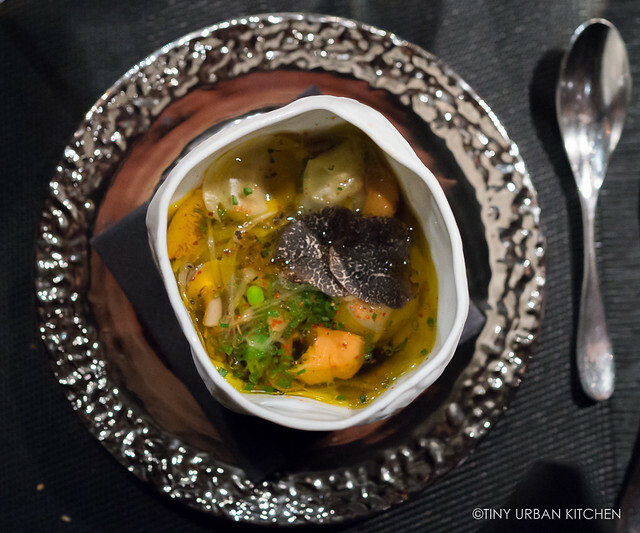 along with a gorgeous tasting menu from a sophisticated high-end Argentian restaurant; and tried a cool underground “closed door restaurant“, which is all the rage in Buenos Aires right now. My favorite food memories? 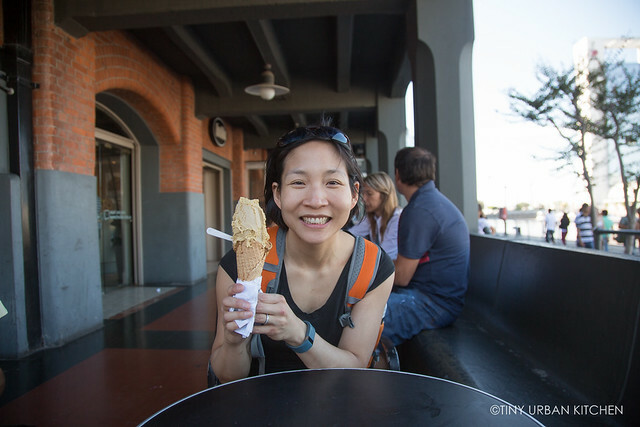 Probably the always-present-on-every-street-corner dulce de leche ice cream, a fantastic Spanish meal in one of the tonier neighborhoods in Buenos Aires, and a fascinating all-day street photography workshop that I took. At the end of March we took a quick weekend trip to New York to attend a black tie event at the Waldorf Astoria. It’s an annual meeting for intellectual property attorneys (of which I am one), and typically involves a fancy dinner, a talk by a famous figure (this year it was Ken Starr – yes, of Clinton era fame), and lots of networking. In April, I flew out to San Francisco to meet up with Bryan who had been there for a week attending a conference. We drove up to wine country (in a rented convertible!) and explored for several days over Easter weekend. 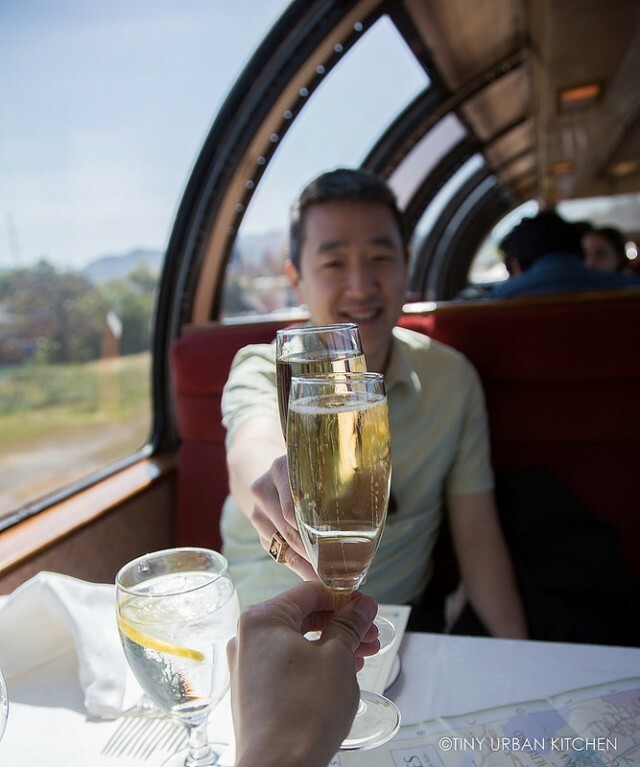 We had a fun, relaxing meal on the Napa Wine Train, visited several wineries (and even a park! ), enjoyed excellent pastries and pizza in Sonoma, and topped off the weekend with a wonderful meal at 1-Michelin starred La Toque at the Westin (where we were staying). In May, I decided to take on something crazy. I remember looking back at my blog circa 2010 and being amazed at how many quality posts I cranked out in a week. There would be weeks where I would write five posts in one week. Heck, in February of 2010, I wrote 28 posts in 28 days! And here I was, struggling to get 2-3 posts out a week. Did I still have it in me? I wondered. I decided to challenge myself to write one a post a day for the month of May. 31 posts in 31 days. Below is the culmination of the project. It proved to me that I still “had it”. Though it wasn’t easy, it was overall pretty fun and I enjoyed the challenge. Click here if you want to read my thoughts after completing the whole thing. To read any of the individual posts pictured below, just click on the photo. June was filled with a short trip back home for my high school reunion as well as spending some quality time with my parents. My dad and I revisited Igloo, the ice cream shop where he used to take me every day after school (my dad’s a teacher) via bicycle when I was around two years old. I was shocked to see that it was still there and looked pretty much unchanged in the last several decades. It’s no surprise that I developed such a love for ice cream at such an early age! My parents also brought my aunt and uncle from Taiwan to come visit Boston. It was their first time ever visiting Boston, so it was fun to show them around. We did the normal touristy things for Asians (visit MIT and Harvard campuses), as well as took a lovely boat cruise around Boston harbor. We even had a celebrity siting (sort of). They were filming Ted 2 in the harbor. If you look *really* closely, you’ll see that Ted (a teddy bear) is actually waving at us. Hee hee. Peyto Lake at the Canadian Rockies – yes, it really is that shade of turquoise! I love, love, love the Canadian Rockies. I first went back in 1998 with my parents and sister and have been itching to go back ever since. I finally had a chance to visit it in June with Bryan’s family. It’s still just as stunning as I remember it. This time, we had more time allotted for the trip, so we had the chance to explore several really beautiful hikes. My two favorite hikes from the trip were probably the 8-miles Plain of Six Glaciers trail (which leads to a lovely tea house at the top!) and Wilcox Pass Trail near Athabasca Glacier. For fuller descriptions about my entire experience, check out my trip report post. Unlike most people who travel heavily during the summer, we sort of stayed put most of the summer. We took several trips, but none involved airplanes and all were local to the New England area. It was kind of nice to finally explore areas in my “backyard” that I had heard so much about but had never visited before. In early June, I took a short day trip to the North Shore (Cape Ann) and got an authentic taste of New England fried clams, lobster rolls, and local beers. In mid July, Bryan and I took a spontaneous weekend trip to Portland, Maine, a food heaven that many had told us we had to visit. There we tasted fantastic seafood, famous duck fat fries, and an omakase from a place that some say has the best sushi in New England. Oh, we also tried several of the local beers (including a visit to a brewery), which was super fun. 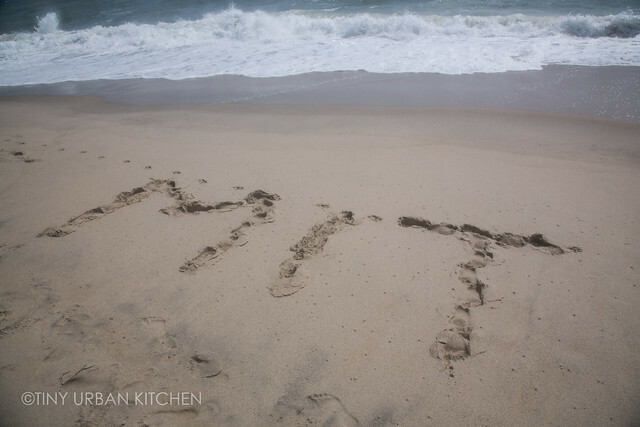 In late July, my college friends and I planned a reunion trip at Cape Cod. It was the perfect type of vacation for relaxation. Our purpose was to spend time together and catch up, not to cram in an itinerary full of activities. As a result, I had ample opportunities to just take in and enjoy some of the beautiful beaches and scenery in the area. I visited Nantucket for the first time, which was super fun (definitely try the ice cream and fresh baked cones from the Juice Bar!). Best of all, it was priceless to catch up with old friends and even make some new ones. After living in Massachusetts for twenty years, we finally visited Tanglewood in August and had a picnic on the famous lawn. We enjoyed two lovely concerts over Labor Day weekend as well as had a chance to explore a few restaurants in the area. The weather was perfect (the rain didn’t arrive until after the concert!! ), the music was great, and it was lovely just to get away and enjoy a more rustic side of Massachusetts we’d never seen before. In mid September Bryan and I took a two-week long trip to a whole new region of Asia we had never explored together – Malaysia and Singapore! Bryan had business trips to both countries, so I tagged along. We spent almost a whole week in Malaysia, so I really felt like I got to explore Kuala Lumpur pretty extensively. I took a fantastic cooking class where I learned how to make many traditional Malaysian dishes (all the recipes are on the blog if you want to check them out!). 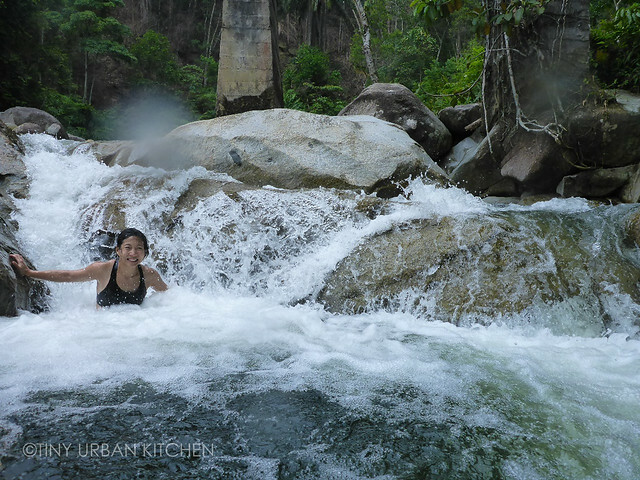 I took a fun walking food tour to experience Malaysia’s rich variety of street foods, and I even went hiking in a jungle (and swimming right underneath a waterfall!). 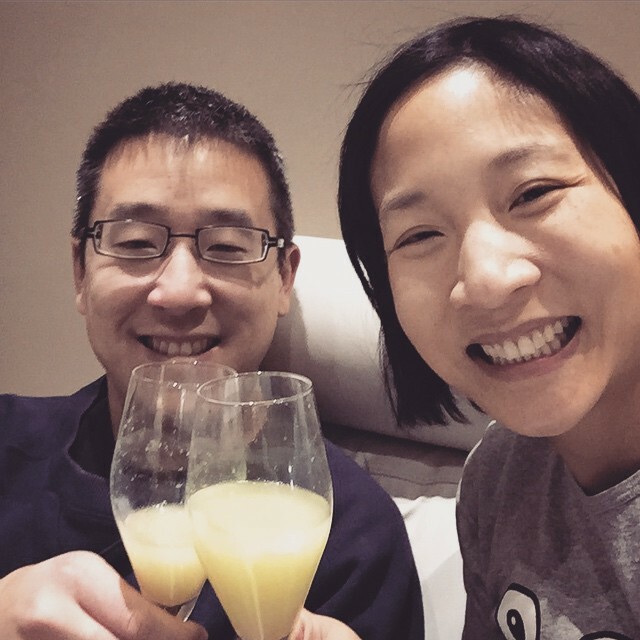 Although our time in Singapore was a bit shorter, I got to spend more of it with Bryan since it was over a weekend (and thus he wasn’t working!). Singapore has phenomenal food. We tried everything from dumplings at Din Tai Fung (connected to our hotel!!) and ethereal pork belly from Singapore’s own Crystal Jade to famous Singaporean dishes like Hainanese chicken rice, chili crab, and many other hawker stall foods. 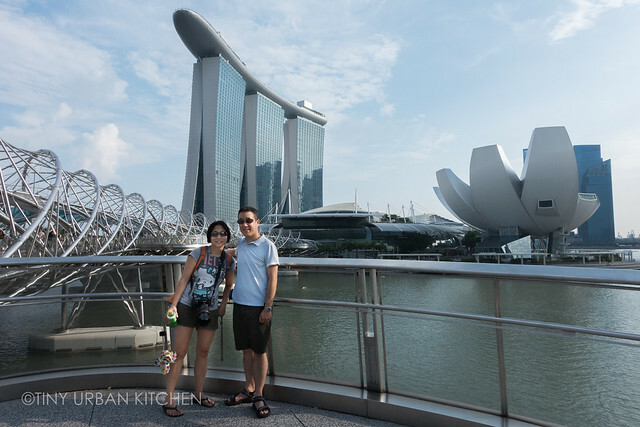 We had the best chashu buns ever from 1 Michelin starred Tim Ho Wan and a fancy tasting meal at Iggy’s, one of Singapore’s more famous high end restaurants. I really, really enjoyed our trip to southeast Asia. After getting our first taste of Southeast Asia in 2012 with our trip to Thailand, I realize there is still so much to explore in that region. Vietnam, Cambodia, Laos . . . the possibilities are endless. In November, Bryan and I finally took the (literal) plunge and decided to get ourselves certified as open water SCUBA divers. It all started about 2 years ago when we visited Australia and New Zealand with Bryan’s family. While visiting the world famous Great Barrier Reef, we signed up for an introductory beginner dive. Though I struggled a bit with getting used to putting my head underwater, Bryan had no fear and instantly fell in love with diving. That Christmas, I gave Bryan a fully paid up SCUBA open water dive certification course . . . which then sat around for two years, unused. This fall, we finally got our act together and set aside time to take the certification course. It involved classes and pool work in Boston (all indoors!) and then optionally open water dives somewhere warmer! We chose Hawaii and planned a two week vacation around Thanksgiving time. Although we spent a significant part of our vacation diving, we also went on some phenomenal hikes and tried some great food. That series on the blog has just begin here on the blog, so I won’t spoil it by telling you too much more! And all of a sudden, it was December. We headed to Orange County (where Bryan grew up) to visit his family and spend Christmas with them. This year, I was super excited to check out the new (much closer) Din Tai Fung at South Coast Plaza, the mall that he used to frequent when he was growing up. We also spent a full, full day at Disneyland (arrived right at opening and stayed until midnight!!). My favorite ride? The new Radiator Springs Carsland ride at California Adventure. The wait times are ridiculous (we got a FastPass), but it’s such a great ride that combines cute characters, an exciting car race, and really well done “scenery”. We ended up riding it twice, getting back on the ride the second time as “single riders”, where you don’t get to sit together but the wait is like . . . 5 minutes (compared to 45 minutes even at 11PM at night. Earlier in the day the wait was like 2 hours!). Most importantly, we got to spend some great quality time with his parents, sister, and extended family. When we returned to Boston, we spent another week hanging out with my parents, who flew to Boston to visit both my sister and me (we both live here!). It’s hard for me to believe that the year just whizzed by like that! It seems like just yesterday I was writing up my thoughts on 2013. And from what everyone tells me, it will just continue to fly by faster and faster . . .
All in all, it’s been a crazy year, but I’m savoring every moment of it. 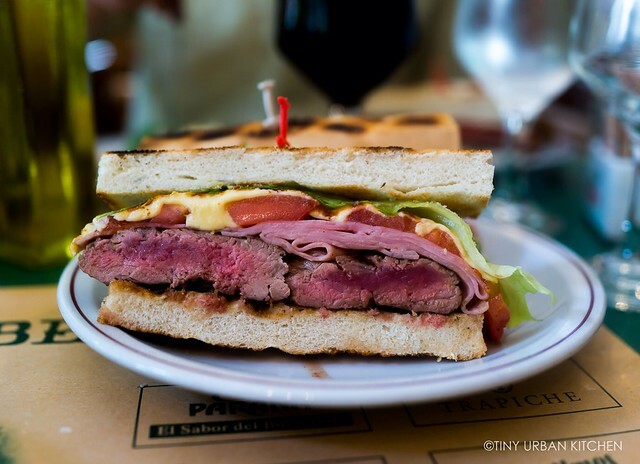 Up next: Part II of A Look Back at 2014: favorite recipes and local Boston restaurants from 2014. I wish you would do a list of your top 10 sushi places in Boston! My boyfriend and I love sushi, but there are so many options that we’re often overwhelmed and default to the closest spots in Davis Square. Please, tell us where you’d go for a sushi dinner on a Friday night! I love Cafe Sushi and it would be my top choice on a Friday night. The only caveat is that they don’t take reservations and since it’s popular you might have to wait on a Friday night. Going later alleviates that a bit. Oishii is pretty good as well if you like more exotic rolls. They’re good at that. 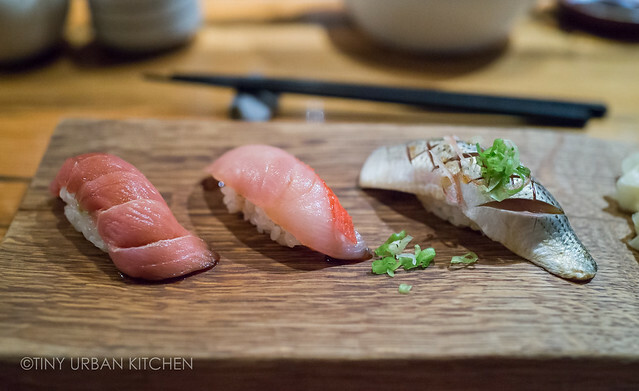 For something fancy, check out O Ya and Uni Sashimi Bar, which are both excellent! Super Fusion is a pretty good value. Genki-Ya has some reasonable value party platters. I heard Sakana-Ya in Allston is great but I have never been there. Thanks for sharing!Regards Findia Group!